Fans who didn’t get enough of UCF Football during the 2017 season can rest easy. According to UCF Football’s twitter account, the Knights will be taking the field on April 21st at 6 p.m for its annual spring game. 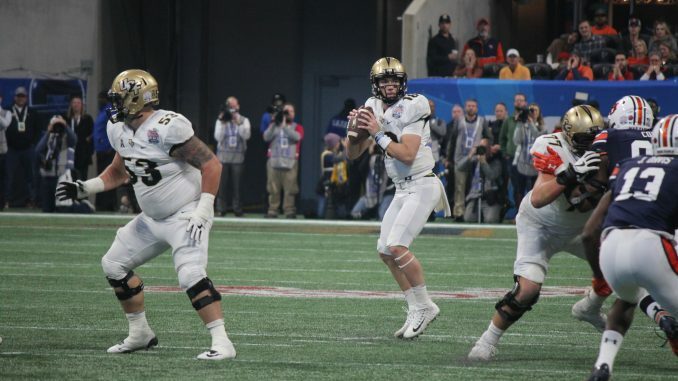 It will be the first spring game of new head coach Josh Heupel’s career at UCF. It will be the start of what many will hope to be another big year for the Knights who recently went undefeated, won an American Athletic Conference title and a Chick-fil-A Peach Bowl. Evan Abramson is the co-founder and co-editor of Knight Sports Now. You can follow him on Twitter at @Evan_Abramson.